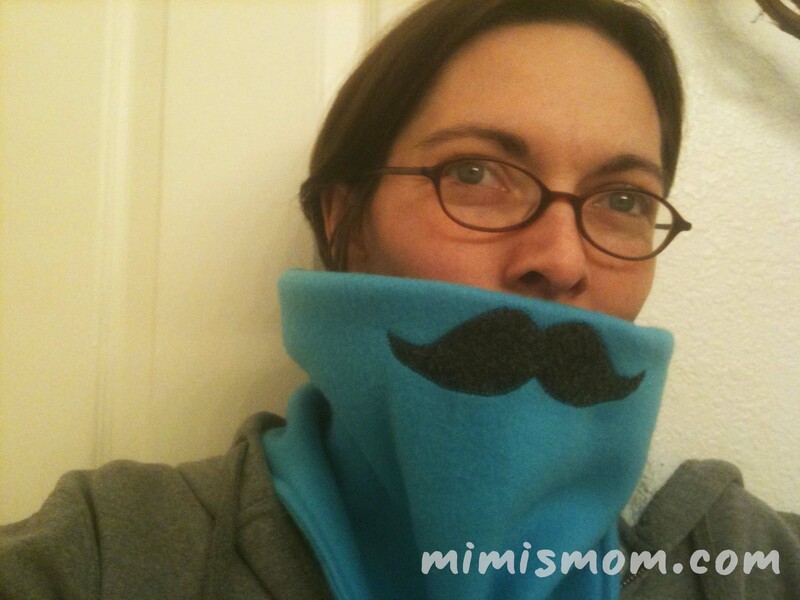 Blog Mustache Cowl for Movember! Last year right around this time, I felt like I really was lacking in mustaches. 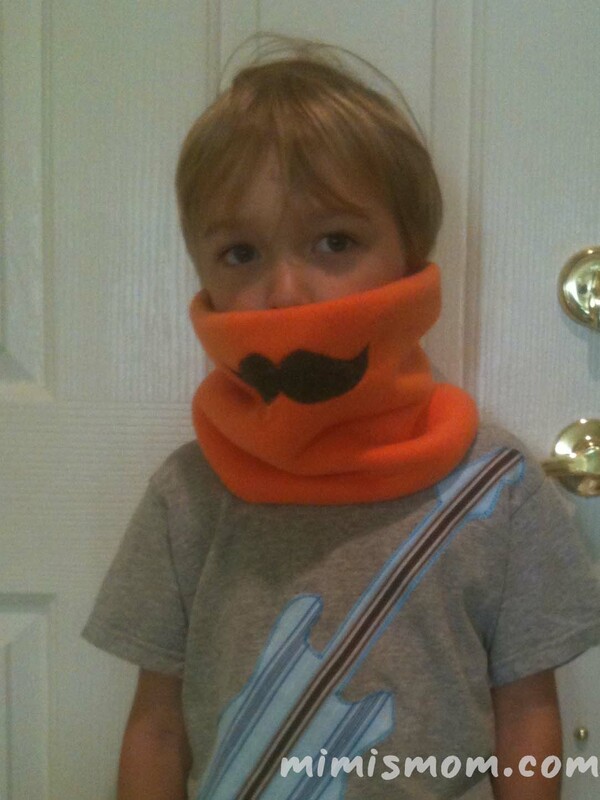 I mean, November is like the official mustache month, right? 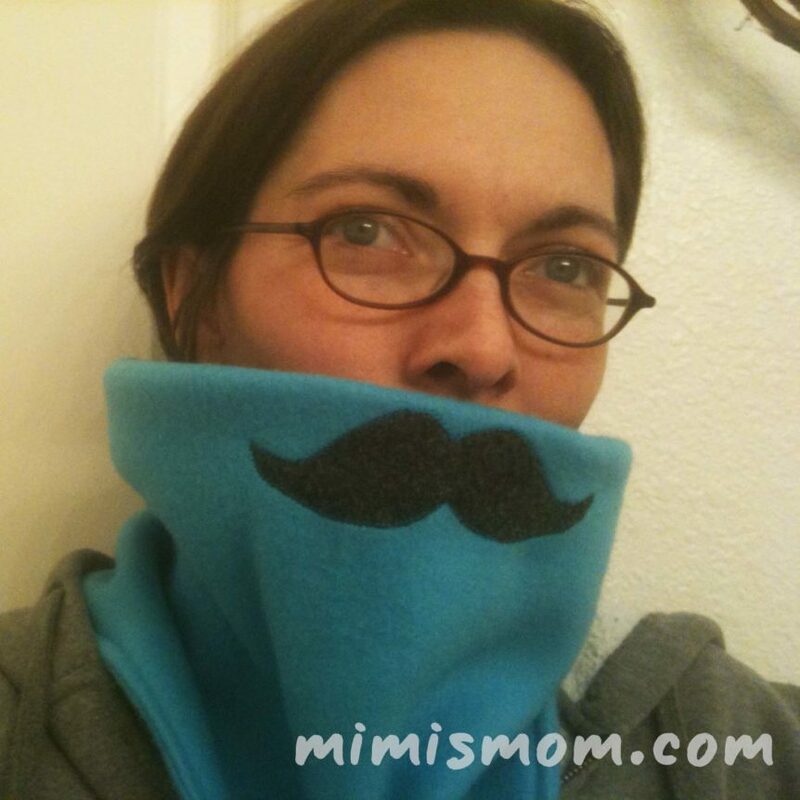 So I whipped up this fun mustache cowl for Movember, and I thought it would inspire you to some fleecy mustache fun! So this is pretty silly, but here’s how I did it. It’s the same basic construction as an infinity scarf, only you’ll only want it to go around once. You’ll also want it big enough to go over the head, but not be too loose around the neck. 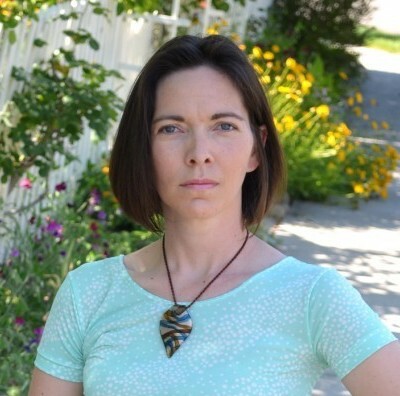 My kids’ heads and mine are in the 20-22″ range, and I cut the width of the fleece to 22-24″ wide. The height should be in the 18-24″ range, depending on age and desired look. In theory, a yard of fleece could get you four of these fuzzy face warmers! 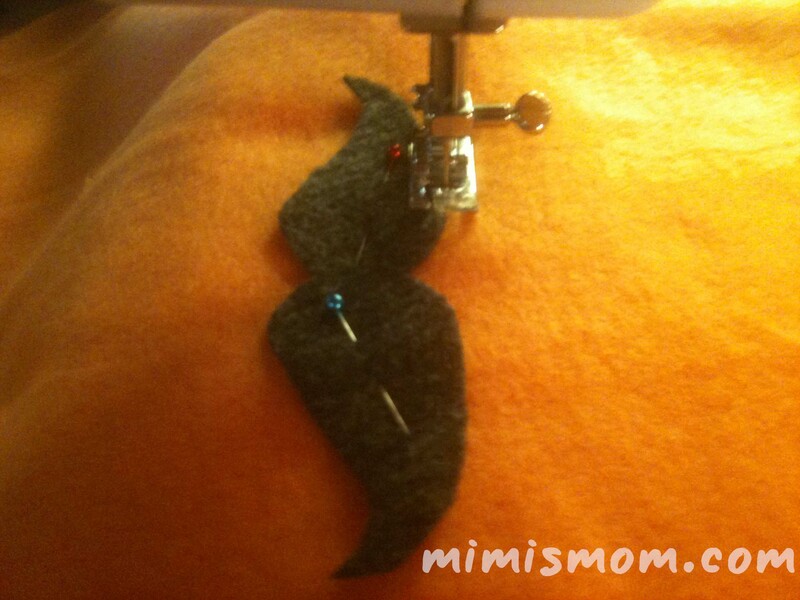 After you’ve cut your fleece, cut out your desired mustache! Is it handlebar? Toothbrush? I freehanded this, aiming for mostly symmetrical. 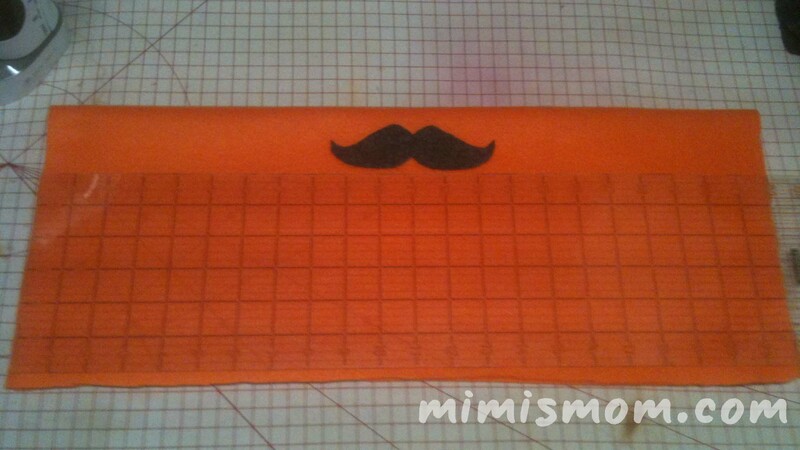 Then use the cut out paper template to cut your mouth brow from your desired fabric. Fold the main fabric in half, right sides together with the open end down. You’ll be looking at the front. 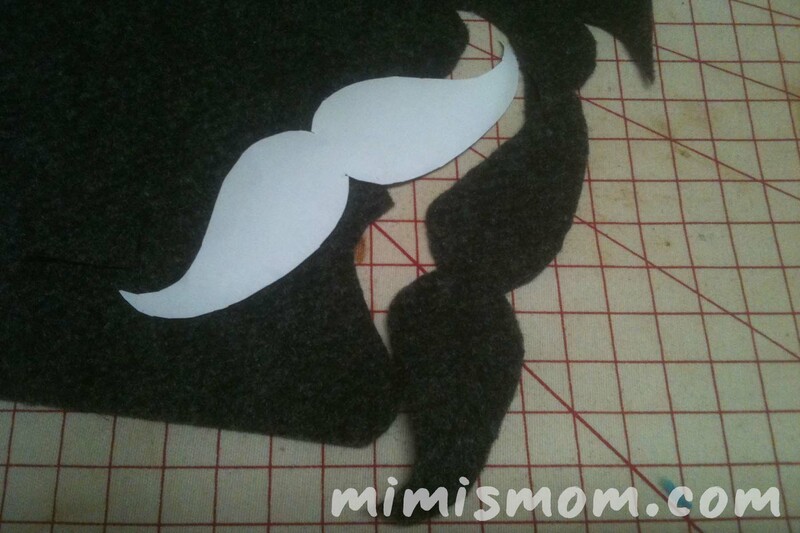 Place the whiskers just below the fold with a little breathing room, and centered lengthwise. 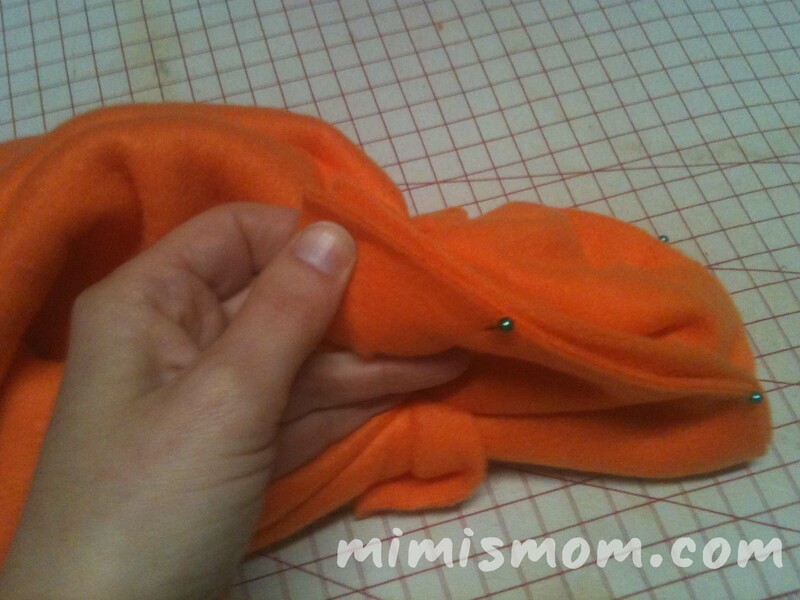 Pin or fabric glue in place, being sure to only catch the top layer of fleece. Open the folded fleece and proceed to your machine. 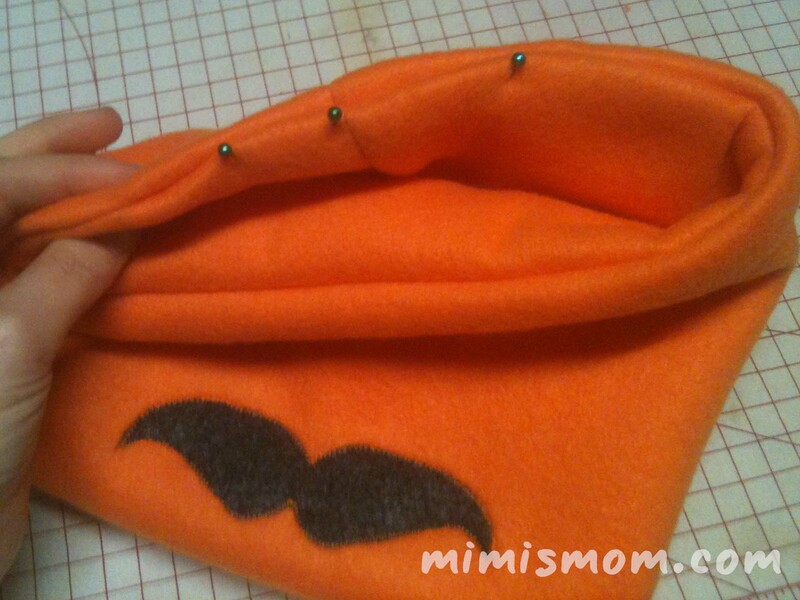 Stitch around your future upper lip caterpillar. I liked a simple zig zag, but you can do a closer fitting satin stitch, a blanket stitch, a straight stitch, whatever. It’s your face furniture. 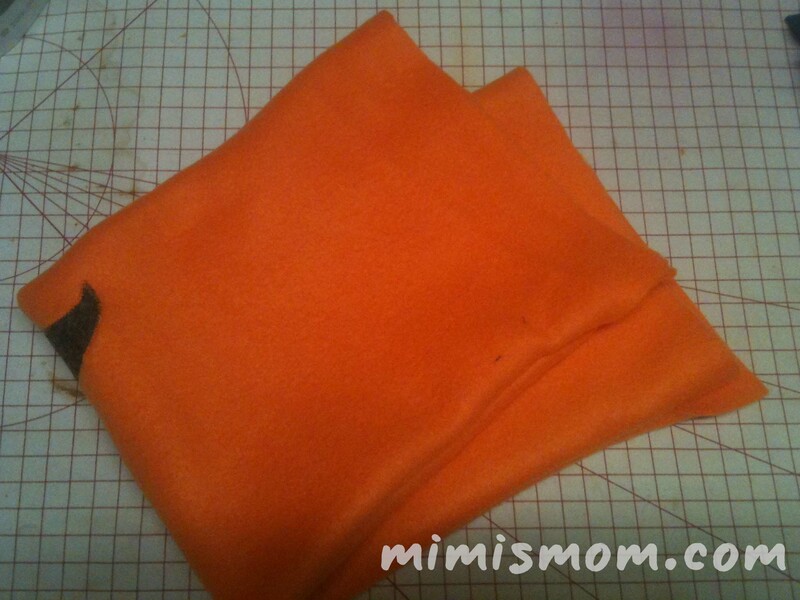 If you have trouble here, stabilizing the area with a scrap of interfacing behind the fleece will help. 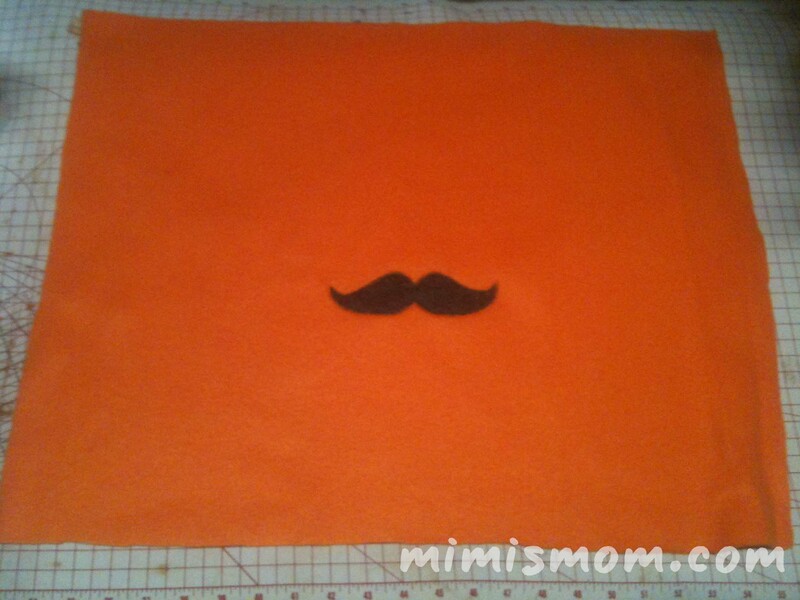 It will look like this, with the ‘stache just off center. Pin the long sides now right sides together. 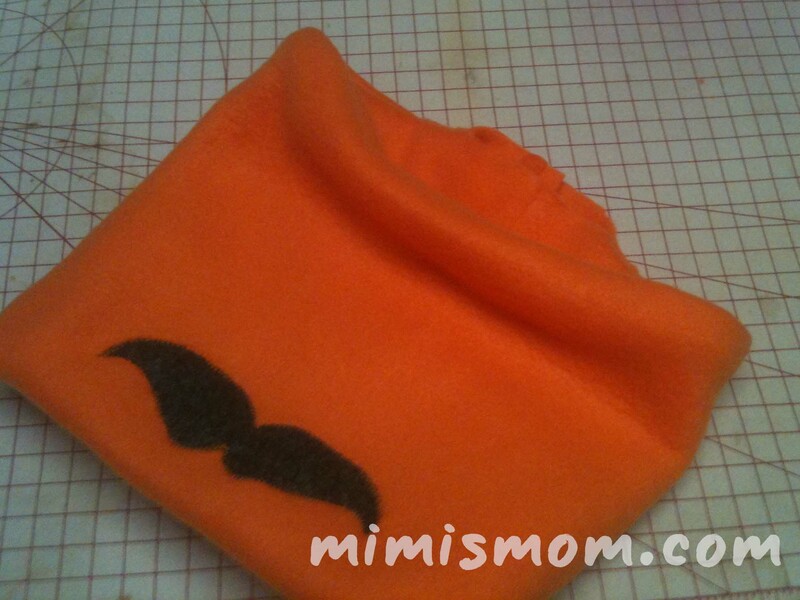 See, it’s the back side of your soup strainer! 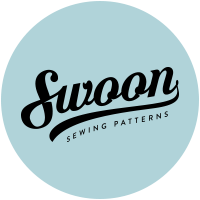 Starting and ending about 3″ before and after the ends, stitch the long side by machine. 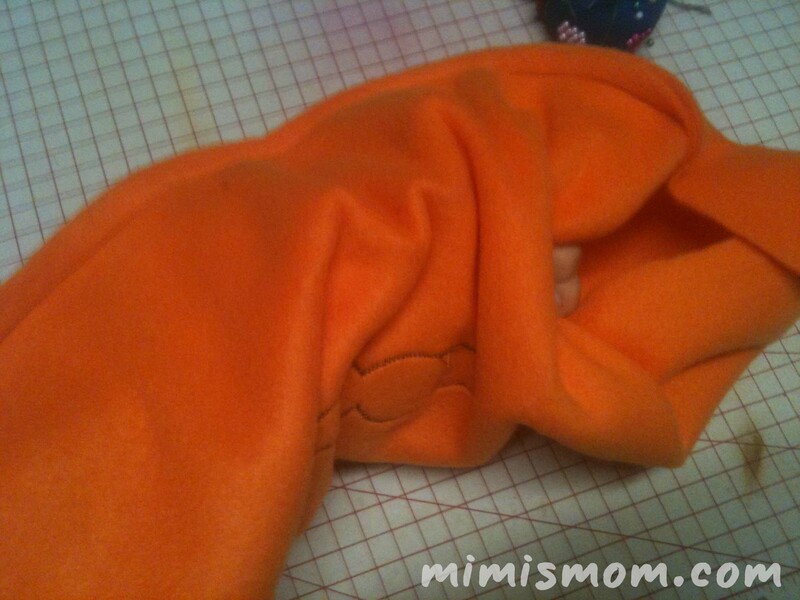 A 1/4″ seam allowance is all that’s needed here, but this isn’t precise, so use more if you need it. 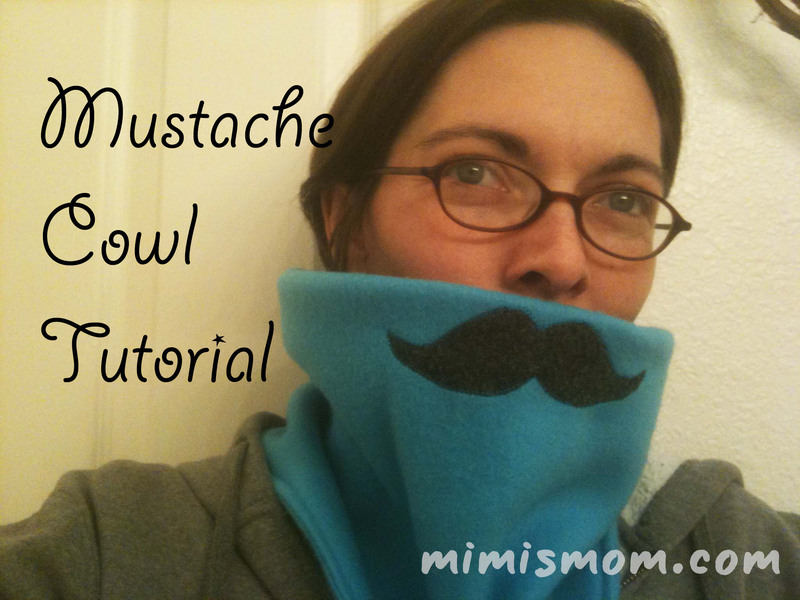 Reach through the cowl and pull right side out. Line up the two short sides. Starting at the sides that touch, match corners and pin right sides together, moving around the circle as you pin. Stitch. You’ll flip that seam in and now have the open end we left at the beginning and end of the long side. 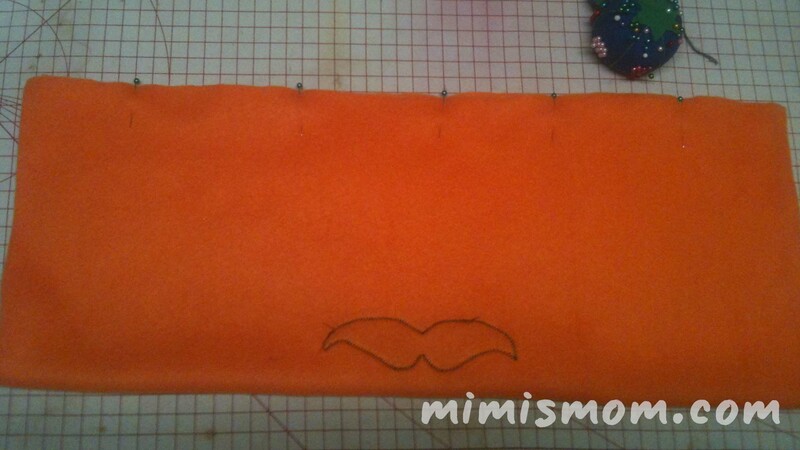 Pin here, then stitch closed. 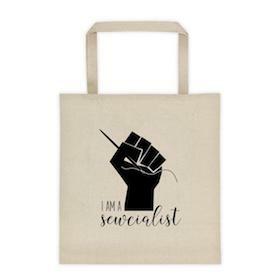 You can sew by hand, or simply sew close to the edge by machine. 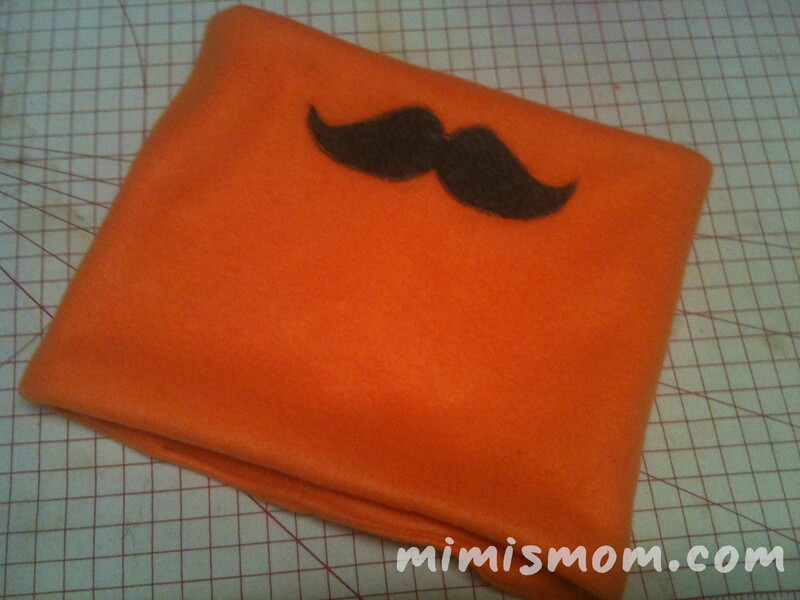 Wear your cookie duster with pride! My son took the original orange, so I made a blue one. And thanks for surviving this “done is better than perfect” tutorial with the long-dead iPhone 3GS pictures I took last year!